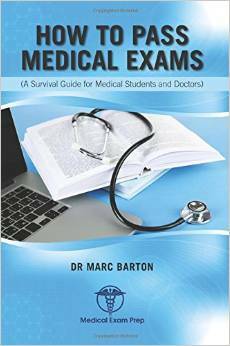 Medical exams are notoriously difficult! The depth and level of knowledge you will expected to master will get harder at each subsequent step along the path to your final goal. You will be tested on more than just factual recall. To become a doctor requires intelligence and knowledge but also integrity, resolve, technical proficiency, calmness under pressure and many other intangible qualities. Medical schools and colleges attempt to test all of these in the exams they set, in order to ensure that the doctors that they produce will be able to deal with the constant challenges and stresses that medicine presents. Although you are likely to be an experienced exam candidate already, there are almost certainly still many ways that you can increase your chances of success. Hopefully this book can help you identify some new methodologies and tricks that will maximize your chances of passing your chosen exam. If this book had been around when I was younger I’d have bought it, I’d have read it from cover to cover and I’d have followed every bit of advice contained within, religiously. I found this book easy to read and full of common sense and golden nuggets of wisdom, and I hope that you too enjoy it and find value in its messages, and that you have success (and as little pain as possible) in whatever exams you face in your ongoing training in the wonderful world of medicine!